Can Orange replicate the success of its budget San Francisco? 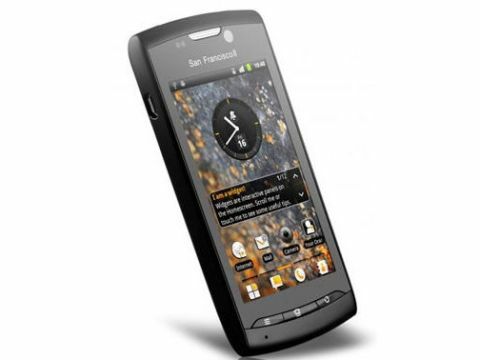 Can the Orange San Francisco 2 live up to its predecessor, the king of low-cost Android smartphones? When we reviewed the original Orange San Francisco, little did we know that the handset that wowed us for its great capabilities at a low cost would become the benchmark for other low-cost smartphones to emulate throughout 2011. Now we're firmly in 2012 and Orange's follow up, the San Francisco 2, has popped into our hands. Its name might sound dull, but does the handset have what it takes to be a worthy follow-up? The Orange San Francisco 2 can be yours for as little as £10.50 a month on a 24 month contract o£99.99 on Pay As You Go. (The original San Francisco is still available at £89.99). This puts it among recent budget smartphones such as the HTC Wildfire S, Samsung Galaxy Y, BlackBerry Curve 9300 Huawei Blaze and Motorola Atrix 2. The extra £10 for the updated Orange San Francisco 2 model gets you some updated specs, but to be honest, the updates might not wow you, because the original was so very good. So, replacing the original's Android 2.1 we now have Android 2.3. The Qualcomm 600 MHz processor of the Orange San Francisco has been upped to an 800MHz option, and the camera can shoot still photos at 5 megapixles, up from 3.1MP. There's 512MB of RAM, which isn't a huge amount, and the same as that of the original, although internal storage has been bumped up from 150MB to 512MB. The screen hasn't changed size or resolution, it's still a 3.5-inch panel and it still delivers at 480 x 800 pixels. Really, we didn't expect a higher resolution in a budget smartphone, and this is another testament to how far ahead of the game the original San Francisco was rather than how behind the times the follow up is. Of course you've got Wi-Fi, GPS, Bluetooth and HSDPA on board, and, as we'll see later, Orange has skinned the handset within an inch of its life. The screen size is a clue that overall this is a fairly pocket friendly phone. It measures 117 x 58.5 x 10.6mm and weighs 120g. It is a shade lighter than the 130g original San Francisco and ever so slightly different from the original's dimensions of 116 x 56.5 x 11.8mm. The real difference is in the build materials and general look. The chassis is all plastic and makes no bones about being so. The shiny backplate is a finger-smear danger zone, and the upper and lower curved edges have a Sony Ericsson-ish look about them. The top edge houses a tiny on/off button and headset slot, the bottom is clear apart from a tiny notch for removing the backplate. On the left there's the microUSB connector, and on the right a teeny volume slider. Three (non-backlit) buttons beneath the screen give you Menu, Home and Back functions, and there's a front-facing VGA camera (absent from the original). The speaker adds a flash of silver to the black chassis of our review sample. Watch out for a white version of the handset too. One of the things we really liked about the original San Francisco was its solid, impressive build - great for a budget phone. Those values are gone on the Orange San Francisco 2, which is a pity. And it's not because Orange has changed manufacturer - the San Francisco 2 is made by ZTE just as the original San Francisco was. The upshot of all this is that the Orange San Francisco 2 doesn't immediately grab our attention as its predecessor did.